Fried apples are like the essence of apple pie… except somehow better. 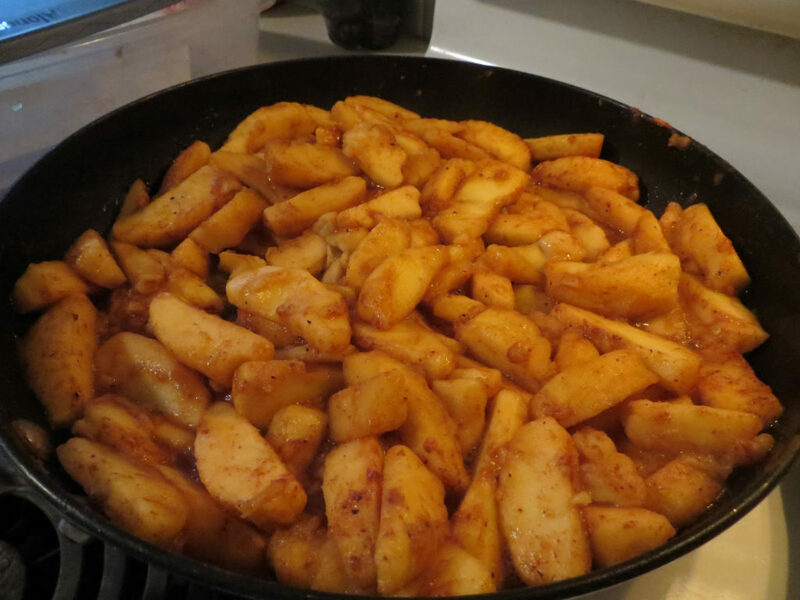 White and brown sugar and the natural sugars from the apples caramelize as the apples cook. Wash and core 6 apples and slice 1/4 inch thick. Put 1/4 cup Mazola cooking oil in frying pan and heat. Add apples and brown lightly. Sprinkle with 1/2 cup granulated or light brown sugar. Cover and cook slowly until apples are tender. Remove cover to let apples brown and cook off excess juice. A tart apple is best — such as Rome Beauty, Winesap, Granny Smith. Secret to the Best Southern Fried Apples? The apples are cooked low and slow to bring out all the sweetness. 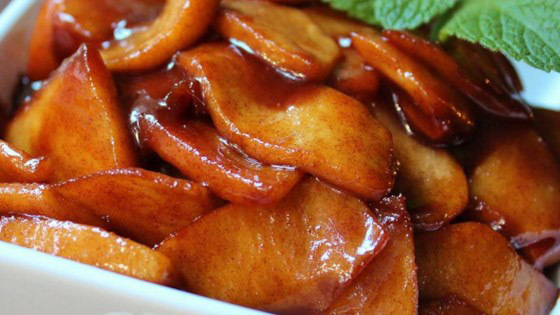 Fried apples go great as a side dish with pork chops and dressing. This fried apples recipe is wonderful served over hot out of the oven biscuits too! 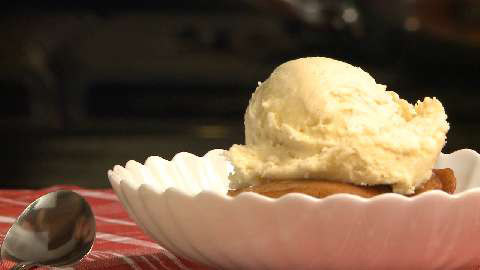 Or for a delicious dessert, you can pour the warm fried apples over ice cream and top with caramel sauce!